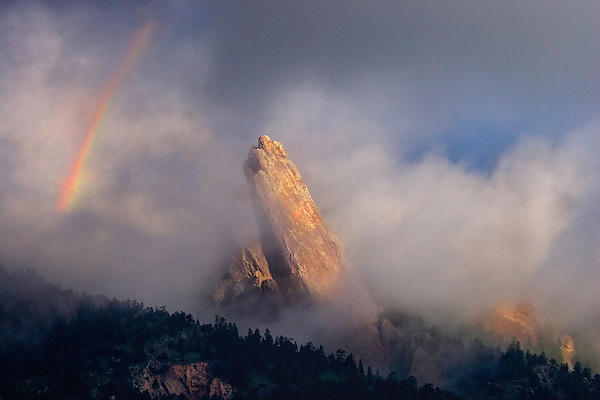 A rare morning rainbow over the 3rd Flatiron, Boulder, Colorado. Fairview High School parking lot. Outside Imagery year-round tours of Boulder.